Shelley started to work part-time as an Administrative Associate for Acta Materialia Inc. in the summer of 2013. 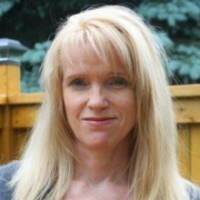 She also works as an administrative assistant for the Centre for Teaching Excellence at the University of Waterloo. Previous to that she worked for a research centre in Civil and Environmental Engineering as a Financial Research Officer and as a Grants/Contracts Administrator in the Office of Research also at the University of Waterloo where she has been employed since 1998. Previous to that, Shelley worked in various management/supervisory positions in both the textile and steel fabrication industries. She enjoys travelling and cooking and spending lots of time with her 2 daughters and granddaughter!